The founder of Georgia Chiropractic Neurology Center, Dr. Marc Ellis presents a rare combination of healing skills that reflect an inborn talent to restore the human body. His ongoing work in the field of Chiropractic Neurology, coupled with years of experience in neuromuscular therapy, enable him to restore tissues on multiple levels. Addressing the underlying connective tissue has yielded dramatic results in chronic cases. Dr. Ellis has learned the intricate relationship between the brain and pain, learning disabilities and balance disorders. Many doctors locally, nationally and internationally have referred difficult patients for treatment with exceptional results. Dr. Ellis is known to be successful with people who have tried everything, yet are still suffering. Dr Ellis is a graduate of Life Chiropractic University in Marietta, Georgia. • He is a Fellow of the American College of Functional Neurology and a Diplomat of the American Chiropractic Neurology Board. • Dr. Ellis is an Assistant Professor for the Carrick Institute of Graduate Studies. (www.CarrickInstitute.org) and lectures nationally and internationally on Functional Neurology. 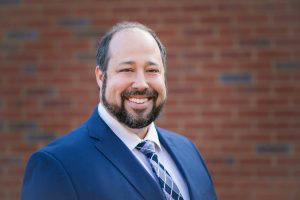 • Dr. Ellis is also a Certified Neuromuscular Therapist and an instructor at Gwinnett College where he teaches Clinical Pathology and Case Management to Massage Therapists. • Dr. Ellis is the recipient of the Outstanding Faculty Award. His wealth of knowledge and humorous delivery make him a favorite among the students. • He is also President of the Georgia Council of Neurology Assoc., has served as VP of the Georgia Chiropractic Assoc. and is a member of the American Chiropractic Assoc.